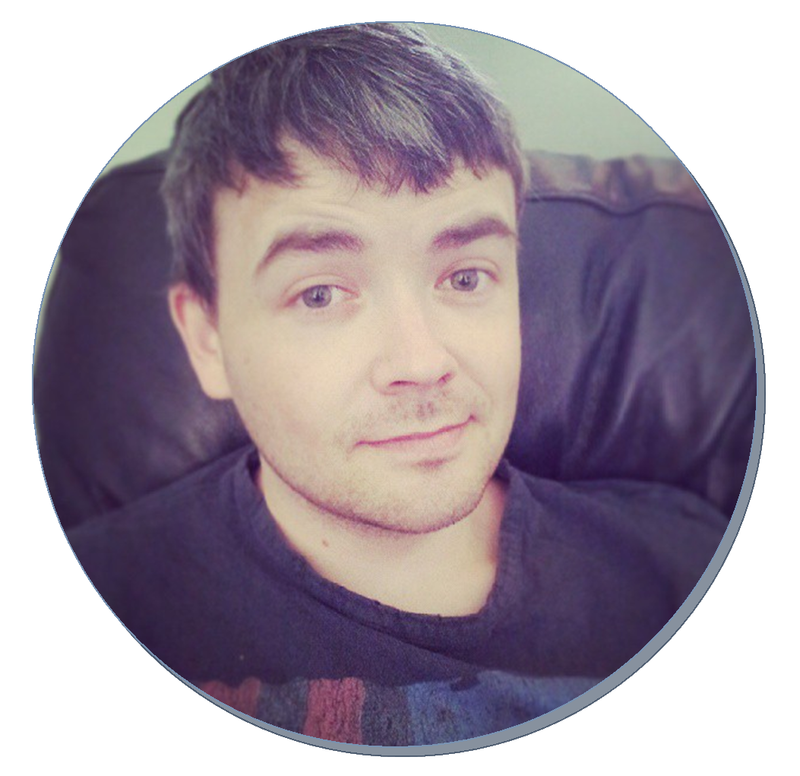 If you read my earlier post you will know that Lee (ex-hubster) aka silver fox decided to give an honest male's view point on a heap of female issues. 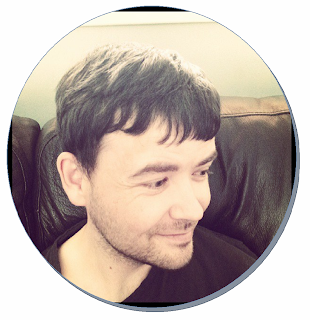 You may have noticed this post is titled 'hubster' and you will see why by the end of this post. Grey hair is a huge issue for some women. 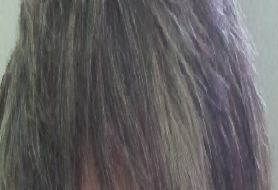 I do have grey hair [well it's pure white rather than the smokey grey tone] which started around my mid-twenties. I don't personally bother too much about my hair colour- purely because I like that it makes me look older, I still get asked for ID buying DVD's at the supermarket so my mentality is that some grey 'should' stop this; it is really frustrating for me rather than being something positive. I know many of my family members and friends all hate that they are starting to grey because it makes them feel old, like their youth is slipping by somehow. I have tried so many hair dyes trying to rejuvenate my hair and I do tend to jump on the newest innovations. Recently I tried L'Oreal Mousse Absolue which allows you to use reuse it without it blowing up-YAY. I was disappointed, however, as it was messy, dyed absolutely everything and the colour was dulling and false looking. This is the lovely hubsters hair, I wanted to do this close up so you can kind of see the salt and pepper effect going on. He has area's which are basically just grey and the rest is black. It looks lighter due to the sheer amount of grey. He personally hates it and has in the past asked me to dye it black - which is his normal hair colour. I, however, love it. He has the unique George Clooney thing going on and has had this look since he was 18 years old. You can see his hair also in the main picture with the obvious patches of grey taking over. I have only ever used hair dyes aimed at females on the both of us. Some brands just didn't want to cover his grey, some covered a little bit for a short amount of time and others left his hair looking like a wig. That's the thing with hair dye is that it can be difficult to really choose one that leaves you looking natural. 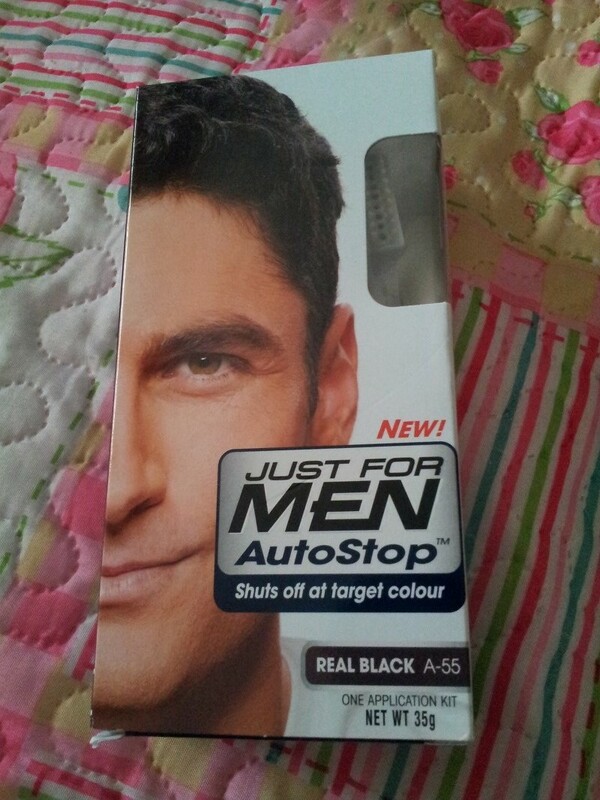 I saw that Just For Men has released a product called 'autostop' and it got my cogs ticking. I started to wonder why the female hair dye's don't use this technology. I instantly thought it must be a lot of made up nonsense as surely the female hair dyes WOULD use this, after all, they seem to be the majority on the hair dye market. This is the product above. I decided to turn hubster into a guinea pig, this will be the first of many reviews so he best get used to it. Unlike many of the female hair dyes (I, of course, know men and women use those ones) this had 3 bits and that's it. The top comb section which you can see peeping out of the window, the tube of ready to go cream dye and gloves. You simply took the cap of the tube of cream, twisted on the brush part-squeezed the dye and brushed it straight on to your hair. I made hubster do it because I wanted to see how easy he found it, he said 'if you can comb your hair, you can use this easily'. There really was no mess, no dripping and no strong smells. We left it on for the allocated time, left it to dry naturally and this was the result. Ahhhh, see natural this looks. This really is a first for him-most other products no other product has covered his grey like this and the natural black colour really does look natural. Similar to how his hair was before the grey took over all of those years ago [I like to get digs in about him being older... well just a bit older]. There's no fake-ness, blue or red tinges or dullness with this dye either which is a huge revelation for me. This got me thinking; I wonder how well this would work on longer hair? or someone who has previously dyed their hair a multitude of colours. Would it still 'autostop' to the right shade? Why don't the mass market jump on this technology and why don't women use 'Just For Men' more. Apart from stating the obvious, weren't Kit Kat Chunky's 'just for men? I'm pretty sure I ate a ton of chunky Kit Kat's and such like and last time I checked I did not have man parts. Do you think I should get my 'Just For Men' on?